Shopping for organic food used to mean long afternoons trekking up muddy farm tracks. Today, with organic food on everybody’s doorstep, the challenge is no longer where to find it but where to start. Popular demand has boosted the quality, range and availability of organic food in ways that even the most optimistic organic pioneers wouldn’t have dared to imagine just a few years ago. Organic is fast becoming a gold standard for premium foods—particularly for dairy foods, vegetables, meat and chocolate. While mass-market producers pick varieties of crops and livestock that will grow fast, look uniform and give the maximum yield, organic farmers and growers tend to choose more traditional, native breeds that offer more flavour. Grown at their natural pace, organic livestock and crops take roughly twice as long to mature as chemically farmed produce, allowing their full flavour and texture to develop. Supermarkets: Supermarkets, which once struggled to offer the odd bag of organic carrots, can now stock up to nine hundred lines of organic produce from around the world, with consistent supply all the year round. 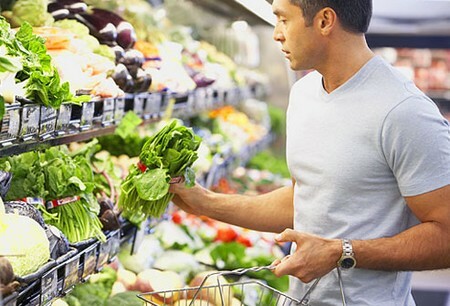 The quantity and quality of organic products vary from store to store. Generally they are good for dairy, dried and tinned goods and convenience foods, but offer a poor selection of meat. Fresh produce is often highly packaged, ruining any good environmental intentions. A couple of recent surveys concluded that supermarkets were over-charging for organics. Chain supermarkets are not geared to dealing with small, local, organic producers. Speciality shops, organic supermarkets, health food stores and delis: These are taking root across the U.K. with Planet Organic and Freshlands in London, the ethical supermarket chain Out of This World and independent organic delis springing up all over. The best of these stock a bigger and more imaginative range than you’d find in supermarkets, and they endeavour to support specialist local producers. Their staff are knowledgeable and enthusiastic about organic produce. In the worst cases, low turnover sometimes means stale produce. However, prices can be competitive. Run by individual farmers, growers’ co­operatives or companies, and offering a weekly box of fresh produce, selected by the farmer and delivered to your home. Most box schemes allow you to make some changes to a basic selection. More sophisticated schemes also deliver meat, dairy and deli. Some smaller ones close at the end of the growing season, others supplement with imported produce. Worth shopping around as quality is patchy. Average cost is £10 for box of seasonal vegetables—enough to feed a family of four for a week.